Whenever we travel back to visit our parents (Jason’s parents live in Utah and Steve’s are in Idaho) we end up at the grocery store in the dairy section looking for yogurt. With all the chips, dips, meats, sweets, and other bad-for-you foods that our parents serve us, our bodies get out of whack and in desperate need of repair. 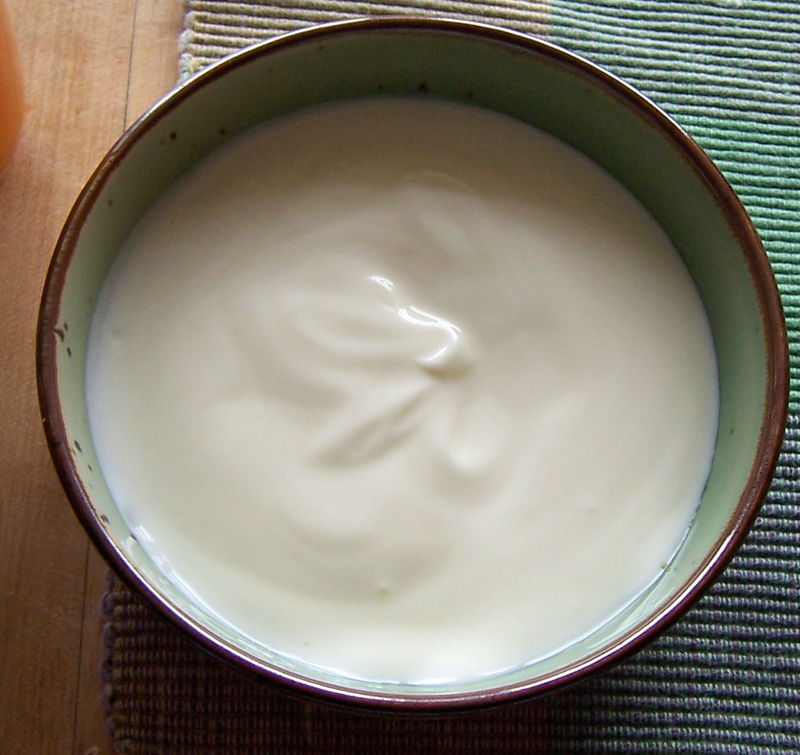 Yogurt, with its restorative probiotic cultures, seems to be just what the doctor ordered. But the problem we face is that the yogurt we find at the grocery stores outside our fair city is always crap. Sugary sweet concoctions with high fructose corn syrup as a main ingredient and low-fat or non-fat milk seem to be the only options available. It’s a tremor to the head, as Steve’s grandmother would say, that with all the obese people walking through the aisles with bags of processed “food” that they continue to think of yogurt as a diet food and something that needs to be free of fat to be good for you. And since there’s little or no fat to nourish and to satisfy hunger, manufacturers add lots of sugar to make the mess palatable. Why not just eat a little whole milk yogurt with fresh fruit or a nice drizzle of honey? Back in San Francisco we don’t have problems finding real yogurt. In fact, we have aisles of choices that may include the fat free and low fat options, but there are also real, organic whole milk yogurts, including increasingly popular creamy Greek yogurts, that are much tastier and keep the belly fuller longer. The problem with the “diet” versions is their lack of hunger busting fat. Those low cal tubs of sugar or artificial sweetener and non-fat milk just don’t keep people full. And with all the processes the sugary ones go through, there’s really no nutritional value left in the most important ingredient – whole milk. Yogurt is natural. Its probiotic cultures help to repair the digestive system after we put it through the stresses of over eating crap and drinking too much booze, coffee and sugary soda. It helps to keep us “regular” and it’s easy to make. There is no substitute for organic whole milk in yogurt. We’ll revisit the whole v. low fat or skim milk argument in other posts, but believe us when we tell you that we do ourselves no health favors by cutting fat out of our yogurt, kefir or milk. We started making our own yogurt about five years ago. It started with the purchase of a yogurt maker that had small glass jars and a warming bottom and cover. We made it a few times but found the machine to be just another cumbersome appliance that we just had to have. Like other specialty gadgets, the yogurt maker would be used a few times and then put into storage – out of sight and out of mind. We went back to purchasing yogurt in little plastic containers, but with our desire to go plastic-free a few years ago, we wanted to find an alternative. With a few web searches Jason found the perfect technique. Did you know you could make your own yogurt in your oven when it isn’t in use? It tastes better than anything you can purchase in the store and it takes no time to put together. Not all ovens will work, but if you have a thermometer in the oven and it’s registering something around 110 degrees when the oven is off, you’re set. The recipe is simple and easy. Give it a try, and if it doesn’t work do a web search for other methods. There are some interesting slow cooker recipes that look like they’re worth a try. 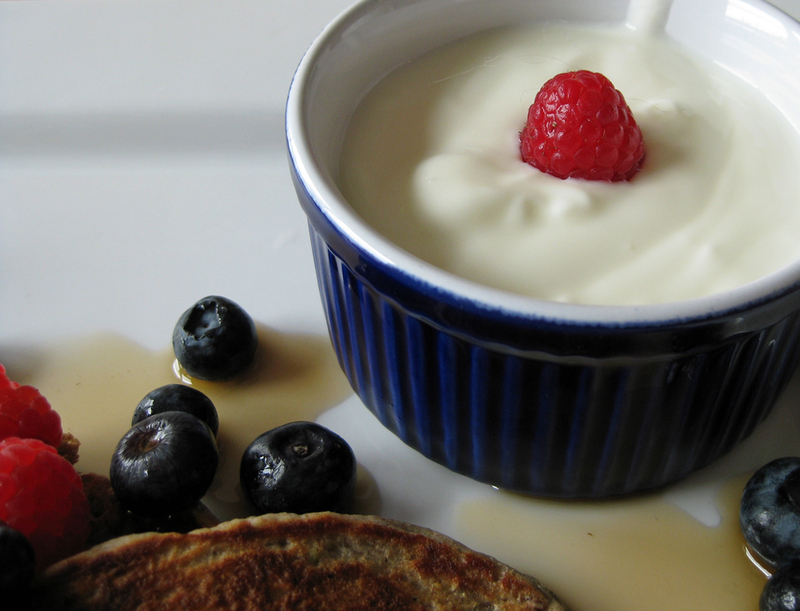 With multigrain pancakes and berries. 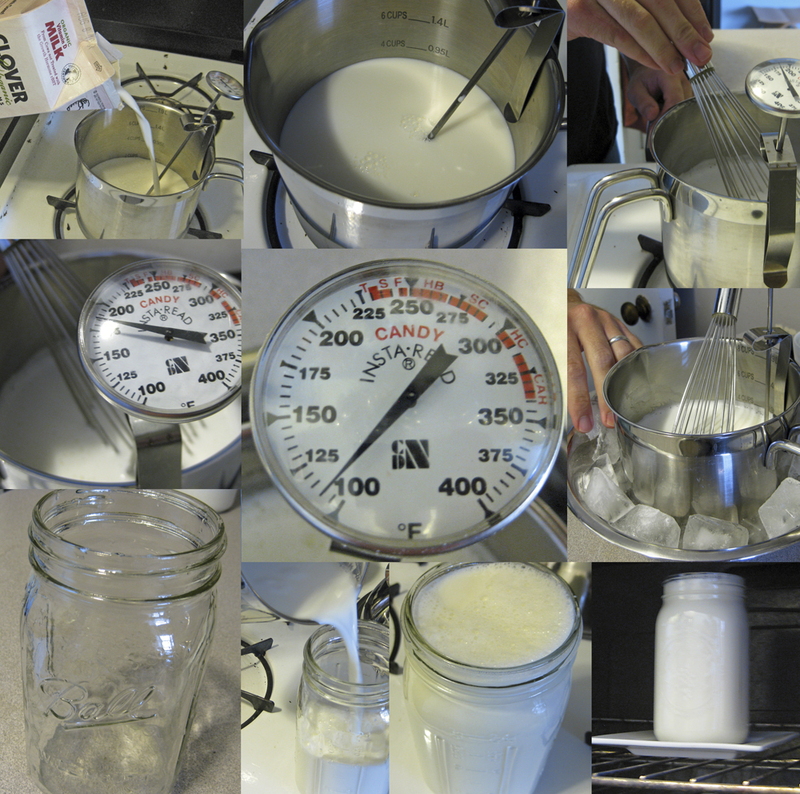 Using a candy thermometer and a medium pan, slowly heat the milk to 180 degrees. Prepare an ice bath by putting ice cubes and water in a large bowl, place the pan of heated milk on top of the ice and let sit until the temperature of the milk drops to around 110 degrees. Add the ½ cup of yogurt to the milk and whisk together. Place in a sterilized quart sized mason jar and place in the oven, turned off, for 12-18 hours. Remove from the oven and refrigerate for at least 2 hours before consuming. 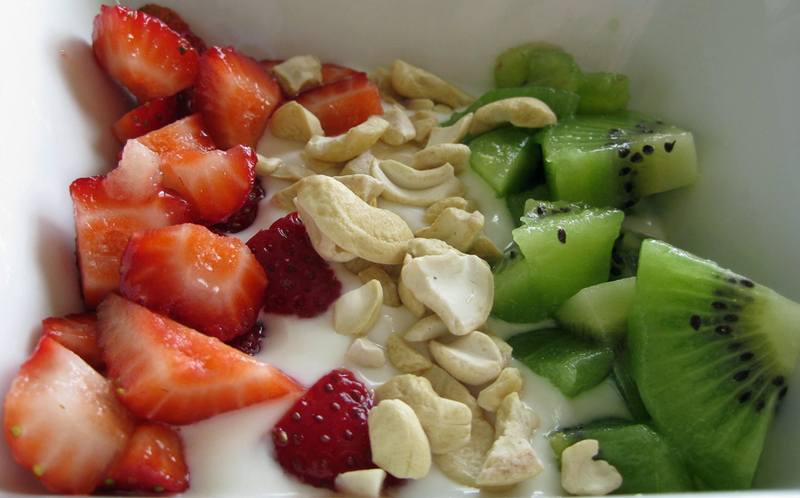 When eating, top with your favorite fresh fruit, granola, or even a drizzle of honey. Don’t forget to keep at least a ½ cup for the next batch of yogurt.